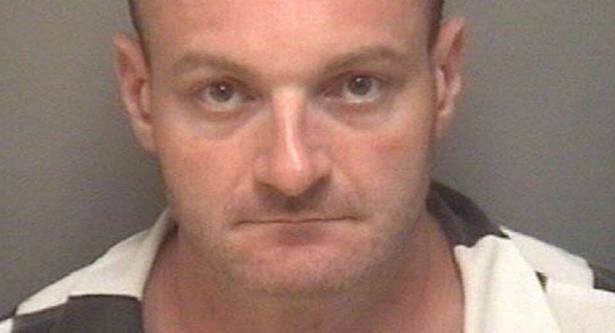 New Hampshire white nationalist Christopher Cantwell, who has admitted to pepper spraying leftist demonstrators during clashes at a far right rally at the University of Virginia two weeks ago, was denied bail Thursday after turning himself in to police. Cantwell was taken into custody Wednesday at the Lynchburg, Virginia, police department, according to campus police, as he wanted on three felony charges, one count of malicious bodily injury with a "caustic substance," and two counts of illegal use of tear gas or other gases. He was held at a regional jail in Lynchburg before being moved to Charlottesville, the site of the "Unite the Right" rally where right-wing extremists attacked anti-fascist counter-protesters, with 32-year-old Heather Heyer dying after James Fields plowed his car into a group of unsuspecting anti-racist demonstrators. Cantwell, who the Souther Poverty Law Center describes as an "anti-Semitic, Alt-Right shock jock and an unapologetic fascist," maintains that he used the pepper spray to defend himself against an attacker, saying he did so because "my only other option was knocking out his teeth." When word got out that there may be a warrant for his arrest, the white nationalist released a viral video crying out of fear of dealing with the police. He said that he and other far-right extremist had been misrepresented in the mainstream media, saying "I’m watching CNN talk about this as a violent, white nationalist protest. We have done everything in our power to keep this peaceful!" This stood in stark contrast to Cantwell’s forceful appearance in a recent Vice documentary about the Charlottesville rally, where he called African-Americans “animals,” and when speaking of Heather Heyer’s death said, "I think that a lot more people are going to die before we’re done here." A preliminary hearing has been set for October 12.